From the monthly magazine of the Director's Guild of America, here's a recap of what happened at the third annual Digital Day, held in late July. "Directors Randal Kleiser and Pitof showed filmmakers how they integrated virtual sets into their films Red Riding Hood and Vidocq, followed by USC Assistant Professor Paul Debevec’s overview of his new digital process for relighting scenes in post production." "...Morgan Freeman’s production company Revelations Entertainment, Internet movie distribution company Clickstar and computer manufacturer Intel gave a presentation on the digital home of the future where security protected video content will be legally downloaded from servers much in the way it’s presently done via the legitimate online music services. On the flip side of that coin, the MPAA’s John Malcolm gave a chilling report on rapid growth in both the trade and techniques of digital piracy, where the half-life between the release of a film and pirated versions appearing for sale has been reduced from weeks to a matter of hours." VFX World has a really swell Q&A with Cliff Plumer, chief technology officer at Industrial Light & Magic, posted just yesterday. Most interesting to me was the discussion of ILM "borrowing" some of the software that LucasArts (a sister company) originally developed for video games. The video game artists use it to animate characters and create scenes; the movie artists are starting to use the same stuff for creating "previsualizations" of movie scenes. Previsualizations can help reduce the costs of special effects-laden sequences by getting the director and the post-production crew singing from the same hymnal. CP: Now that we’re all under one roof [at the Letterman Digital Arts Center in San Francisco], ILM can take advantage of their game engine, and LucasArts artists have access to things we take for granted. Look at something like crowd simulations. They have been big in effects for the last few years, but have been used in games for a long time. We can take advantage of their AI engines, their game engines and integrate them into the visual pipeline. The big win for ILM, though, is in previsualization. A visual effects supervisor can sit with the director and have a synthetic scene move around in realtime. The director can block in a scene and do a camera move with a virtual camera. It feeds the whole post process. BR: But that isn’t new, is it? CP: It hasn’t been intuitive. Previs in the past has been a scaled down post- production operation. The director comes in, we make a change and show it to him. What we’re saying is, “Let’s make this like photography; do it in realtime.” This is something we’ve been developing in conjunction with LucasArts — to hand the previs to the director. It’s almost like a game. BR: Who has used it? CP: It hasn’t been used on a film that’s been released, but it’s in use. It’s also still under development. Ask me again in a couple months. BR: So does this mean vfx artists will no longer do previs? CP: The game engine part is designed to work in realtime. The director can plan how to shoot a live action or block a CG scene. Contained in the application are libraries of lenses and so forth. But, we can also record the camera moves, create basic animations and block in camera angles. And instead of handing rendered animatics to the CG pipeline, we have actual files — camera files, scene layout files, actual assets that can feed into the pipeline. It gives the crew input into what the director is thinking. BR: Was this something George Lucas used for Star Wars? CP: No. It was driven by Star Wars. It was something George has felt strongly about. But, the tools weren’t ready for him. BR: Can you see anyone other than directors and vfx supervisors using it? CP: DPs might use it as well to place lights and see how a scene could be lit or shot. It isn’t solely for directors. BR: Do you expect the game engine to be used on post-production? CP: No. Only during early stages in previs. At this stage, the game engine can’t hold as complex a scene as we need for film effects. To get the complexity we need, we’d be compromising the realtime performance. Later, they talk about "sharing assets" among films and videogames - reusing digital characters, props, or scenery. It's not hard to imagine a time where the same team of people work together to create a movie and a game. They're essentially creating a digital environment and cast of characters, and perhaps doing some live action photography with actors to complement that. One "product" is a videogame where the player (or players, in the case of a "massively multiplayer game") can move through that environment at will, racking up points or killing people or solving mysteries; another "product" is a movie -- a linear narrative with a beginning, middle, and end, featuring the same characters and environments. What gets really interesting is when the director starts producing multiple versions of a movie, perhaps based on feedback from her audience... or when the audience itself starts using the environments and characters crafted by the creative team to tell their own stories. How far off is this convergence of movies and games? Some would say it's already happening; I think it arrives in a really significant way within the next four years. From a Time Magazine article this month headlined, Is Luxury the Ticket?, some interesting data on how well deluxe new movie theater concepts are doing. In a down market, the boutique theater chain Muvico, a Fort Lauderdale, Fla., company with 12 theaters in three states, has managed to boost attendance 2% this year. National Amusements, run by Viacom heir apparent Shari Redstone, is expanding its upscale Cinema de Lux brand of theaters, which sells 35% more tickets per theater than its sibling brands. At Pacific Theatre Co.'s swinging ArcLight Cinemas in Los Angeles, attendance has swelled 25% over the past two years. Says Paul Dergarabedian, president of Exhibitor Relations Co., a box- office--tracking firm in Encino, Calif.: "It's counterintuitive--if attendance is down, why would you invest more in a theater?--but this template is one that is working." The great Nick Dager has a Q&A with Howard Kiedasch, president of Arts Alliance Digital Cinema, the company that's building a network of digital cinemas in the UK - in part to help British indie filmmakers distribute their films. They're using projectors from Christie and NEC, and servers from QuVis. "Before spring of next year, we'll have 50 screens up and running. Over the next 18 months we'll complete the full 238 screens," Kiedasch says. ...at that great garage sale in the sky. That's the gist of this Washington Post piece that ran yesterday. In 2003, DVD rentals surpassed those of VHS for the first time. Circuit City and Best Buy have stopped selling them. Fox and Warner Bros. are phasing out new releases on VHS. Of course, VHS tapes won't disappear overnight... almost 95 million U.S. households still own VCRs. (How many still use them?) But Chaney notes that the upcoming home video release of "Star Wars: Episode III" will eschew VHS for DVD. My suggested epitaph for the beloved black cassette: "The VHS tape's in the ground, nevermore to kindly be rewound." Media formats, of course, tend not to stand still as new playback technologies emerge (in audio: wax cylinders, 78s, 33s, 45s, reel-to-reel, 8-tracks, cassettes, CDs, MP3s). Writer Jen Chaney observes smartly, "In the current clash between the developing high-definition DVD formats Blu-ray and HD-DVD, we will still hear the echoes of VHS vs. Beta." At what point will DVDs start vanishing? Will the movie industry ever get comfortable with purely digital distribution - just bits over the network? Here's a proposal from my pal Paul English's blog about installing cell phone blockers in movie theaters and restaurants. And here's an older piece from Slate.com that talks about how jamming works, and notes that in the U.S., the FCC has made it illegal to use a cell phone jammer. My favorite jamming related story involves the restaurant Prezza, in Boston's North End. I noticed once that my cell phone signal, which was fine outside on Fleet Street, vanished completely inside the restaurant. Later, someone told me that the building that houses the restaurant was once an Italian men's social club - and the interior had been lined with lead to interfere with bugs. The really good movie-related piece in the Times today is one that unearths some of the earliest reactions to radio, film, and television when those technologies first arrived. "The projectionist of the first Lumière screening in New York. You had to have lived these moments of collective exaltation, have attended these thrilling screenings in order to understand just how far the excitement of the crowd could go. With the flick of a switch, I plunge several thousand spectators into darkness. Each scene passes, accompanied by tempestuous applause; after the sixth scene, I return the hall to light. The audience is shaking. Cries ring out." "Maxim Gorky, on seeing the Lumière Cinématographe in Nizhny Novgorod. A life is born before you, a life deprived of sound and the specter of color - a gray and noiseless life - a wan and cut-rate life." "The New York Times, from an interview with D. W. Griffith. The time will come, and in less than 10 years, when the children in the public schools will be taught practically everything by moving pictures. Certainly they will never be obliged to read history again." We talk of the worth, the service, the entertaining power, the community value, the recreative force, the educational influence, the civilizing and commercial possibilities of the motion picture. And everyone has, singularly enough, neglected to mention its rarest and subtlest beauty: `Silence.'" That's the essence of this dull and overly long piece from today's NY Times. Just when you think the writer has infiltrated a ring of movie pirates, it turns out he is only describing in general how they operate. Worth looking at, though, is this map, which highlights areas where piracy is most prevalent, according to the Motion Picture Association of America: Russia, China, Ukraine, Serbia and Montenegro, Indonesia, Bolivia, Paraguay, Columbia, and Ecuador, among them. Worth a read in today's NY Times is this piece about record labels chafing against Apple's blanket 99 cents pricing plan at its iTunes Music Store. The central question is whether the 99 cent price tag on everything (well, not really everything - books on tape and some spoken word programming is priced higher) is what helps bring consumers to the service... and whether a range of prices would somehow drive them back to illegal downloads. Sony BMG Music Entertainment and Warner Music Group are the two major labels that are squawking the loudest about Apple's uniform pricing. Apple has become the main market-maker for digital music - with about 75 percent of all sales. Still, isn't it natural to let the marketplace define what consumers will pay for digital music (and eventually, TV shows and movies)? It'd seem obvious that some older material from the vaults might be priced at 49 cents - or less - and that a highly-anticipated new song might go for $1.49 or $1.99, especially if it's accompanied by additional material, like music videos. Whether Apple will get in the business of selling movies and TV shows has been the subject of a lot of speculation. This friction between Apple, Sony, and Warner could have an effect on whether owners of video assets (like, um, Sony and Warner) decide to work with Apple. Earlier this month, I wrote about the nutty world of movie financing in my Boston Globe column. One of the people I spoke with for that piece was Roy Coppedge (everyone calls him "Copey"), who co-founded the private equity firm Boston Ventures in 1983. (Rupert Murdoch put some of his money into the firm to get it off the ground.) Boston Ventures owns a big chunk of two theater chains: Rave Reviews, based in Dallas, and Vue Cinemas in the UK. In my column, I asked why Copey hadn't put any money into producing movies. ''Look at this summer," he said. ''The box office has been a disaster. Nobody knows what's going to be successful, and yet they spend all this money upfront to make a film. That's not our equation." - "The risky part of the business is film production and distribution. The economics are goofy -- the actors, artists, lawyers make [the most] money. The road is littered with unsuccessful independent production companies. It's very hard to find one that has made money. There are a few. New Line did that, and then they merged with Warner." - Most adults go to the movies about five times a year. People between the ages of 10 and 25 go 12.2 times a year, on average. "Right now, you've got an enormous [demographic] bulge of people between ten and 25. That bodes well for the next five or ten years," Copey said. "Not that it falls off a cliff after that..."
- "People want a safe environment outside of the home. Kids want to get out. And I don't think that dyanmic's going to change." - "Stadium theaters are a new technology that really haven't penetrated [very far into the market.] Of 36,000 screens in America, 40 percent are stadium. That will be 80 percent by 2010." - "Net net, it's a plus to use theaters for more than just showing movies" -- broadcasting sporting events, concerts, or TV shows, even. "It gives them more flexibility." - "3-D will differentiate the movie theater experience" from the home experience. Pixar held a media open house on Monday -- it was the 10th anniversary of the release of their first feature, "Toy Story" -- and the San Francisco Chronicle's C.W. Nevius has a great report. Nevius writes, "Pixar, as you have probably heard, has had a stormy relationship with Disney -- and Disney, at this point, looks like the loser. In the 10 years since we met Woody the cowboy, Buzz Lightyear and the rest of the `Toy Story' gang, Pixar has won 16 Academy Awards and grossed over $3 billion." Disney, which was bankrolling the project, peppered the young animators with notes and suggestions. The story was too juvenile, the higher-ups said, and the characters had to be edgier. Afraid to trust themselves, Lasseter and his crew tried to follow all the directions. It was, nearly everyone agrees, a train wreck. Disney hated the movie and the idea -- and shut it down. Lasseter recalls that he "begged'' for two weeks to fix things. The animators went back, took out all of Disney's suggestions and made the movie they wanted to make in the first place. And, naturally, when they screened the new version, Disney execs loved it. Everyone's going to be closely watching this fall's "Chicken Little" -- the first digitally animated feature that Disney has created on its own, in-house. .... making Dory (the forgetful fish from 'Finding Nemo') the chief financial officer at Pixar Animation Studios. The news today is that the Securities and Exchange Commission has launched an informal inquiry at Pixar, related to greater-than-expected returns of "Incredibles" DVDs. Those returns caused Pixar to miss its second-quarter earnings forecast. UPDATE: This AP story sheds a little more light on the inquiry: "Analysts who cover Pixar suspect that the SEC wants to learn more about why DVD sales of the movie `The Incredibles' fell short of expectations and whether the company should have notified investors sooner." "'The big question is when did these guys know things were going wrong and when should they have told everybody,' said Dennis McAlpine, managing director of McAlpine Associates LLC. "The SEC often requests information from companies, and it does not necessarily mean that laws were violated." Whoops - VC Tom Perkins happened to mention this week that Hewlett-Packard is working on a digital projector that would stymie anyone trying to use a camcorder to capture the images it casts on a screen. Such a projector would be a godsend for the piracy-obsessed movie studios. Declan McCullagh of News.com writes that "an HP spokesman confirmed that the company was working on a research project fitting that description, but declined to provide any further details." The difference between the way camcorders and the human eye perceive patterns. The eye filters out intermittent noise in an image while the camcorder records these effects. Cinea modulates light to create flicker patterns that ultimately distort camcorder recordings. The fast switching times of the theaters’ digital projection systems—specifically Texas Instruments’ market-leading Digital Micromirror Device (DMD). CamJam leverages the DMD architecture to project both the original content and a disruption pattern. It applies unique content-specific disruption technology that embeds and moves flickers across parts of the frame in a way that maximizes the disruption the camcorder picks up without impacting the audience. This'll be a technology race between at least three players - and nothing I've heard indicates that HP is in the lead. Box office skid: Due to smarter audiences? Sharon Waxman writes in today's NY Times that the summer moviegoing season will be down about 10 percent relative to last year, whether you're measuring ticket sales or attendance. Waxman writes that "overall movie attendance, a figure not affected by inflation, has slid to below where it stood in mid-August 2001. DVD sales, while still robust, are no longer rising exponentially, and some analysts say that a poor box office performance this summer will lead to poor DVD sales this winter." At Sony, Lynton expresses a desire to concentrate on "making `only movies we hope will be really good.' At Fox, executives said they are looking to limit marketing costs. At Universal, Mr. Shmuger said he intends to reassert `time and care and passion' in movie production." It's odd: no one is talking about trying to produce more movies with lower budgets...which would allow them to take more shots on goal each summer. Instead, it seems like the impulse is to spend more time, energy, and management oversight on a handful of big budget movies. Video rental stores: Demise overdue? Some great financial data in Lorne Manly's column today in the NY Times, "Extinction Long Seen, Video Stores Hang On". Manly writes that since the mid-1980s, observers have been predicting that video stores would vanish. Yet that trip to the video store remains a stubborn fixture in the rapidly changing entertainment landscape. Complaints about the lack of selection, a paucity of hits and annoying late fees have not overcome the joys of browsing. Even the newer threats - the convenience of online subscription services like Netflix and the ability to order movies at the touch of a cable remote's button - are not expected by many analysts to crush the rental experience anytime soon. The number of DVDs and VHS tapes rented "still dwarfs any other form of movie watching," Manly writes. - Adams Media Research says that there were 1.1 billion DVD sales last year, compared to 350,000 purchases of movies through pay-per-view or video-on-demand. - Even though the video rental business has been shrinking each year since its peak in 2001, it was still an $8 billion a year business in 2004. - "...[T]he studios get about 60 percent of the list price of new DVD's, bringing in about $17 each. For each movie ordered by remote control, the studios get about $2." - Blockbuster lost $57.2 million in the second quarter; Movie Gallery lost $12.2 million. I'd add that $8 billion businesses don't disappear overnight. The rental biz could plateau for a decade or more. It could move toward kiosks and "ATMs" for DVD rental. It could go from big stores to much smaller stores. But there's still something about browsing for movies in a brick-and-mortar store - especially one with a well-chosen inventory - that is tough to replicate. I love the strategy of building interest in a forthcoming movie by allowing people to feel they've been a part of the production process. "With 17 weeks left to go the model making department is still in full swing recreating skull island at one twelfth scale. Paul Van Ommen introduces us to his gonzo gang of model technicians and gives us some insight on what it takes to scale down trees, plants, dirt, even moss!" Lisa DiCarlo of Forbes presents a laundry list of problems facing the digital cinema roll-out... some familiar and on target, others wrong and inadequately reported. - It costs $100K to upgrade each screen, she writes. Yeah, that's a good ballpark. But she says that "nobody really knows" who's gonna pay. That's not true. There are several groups of financiers putting together deals that would bankroll large d cinema installations, and then charge the studios a "virtual print fee" of around $2000 each time a new movie plays on that equipment. Why not talk to them? - "Independent theaters that can't afford digital equipment and won't be upgraded by the movie studios will be left out of the party," DiCarlo writes. How do you explain that some of the earliest experiments with digital have been at art house and non-chain theaters, like Landmark Theatres, Hallett Cinemas, the Ritz Theater in Big Spring Texas, and Emerging Cinemas. Independent theaters and independent film distributors, I think, have at least as much motivation to switch to digital as the big chains. Maybe more. - "Technology being what it is, you can expect glitches in new digital cinema systems." Yeah, but probably fewer glitches than celluloid. A projector bulb can burn out with either system, sure - but with celluloid, the film can melt, or be spliced together wrong, or be brutally scratched - all problems that go away with digital. Admittedly, with digital you'll have the occasional hard drive failure - but only if equipment isn't properly maintained. - DiCarlo writes, "New digital cinema standards do nothing to stop the guy in the back row from filming a new movie with his digital camcorder, a low-tech system that accounts for the bulk of movie piracy." Well, that's true today, but the digital cinema standards create a path for 'watermarking' technology that will at least make it easier to find out where those camcorder guys are plying their trade - in which theaters, at which time. 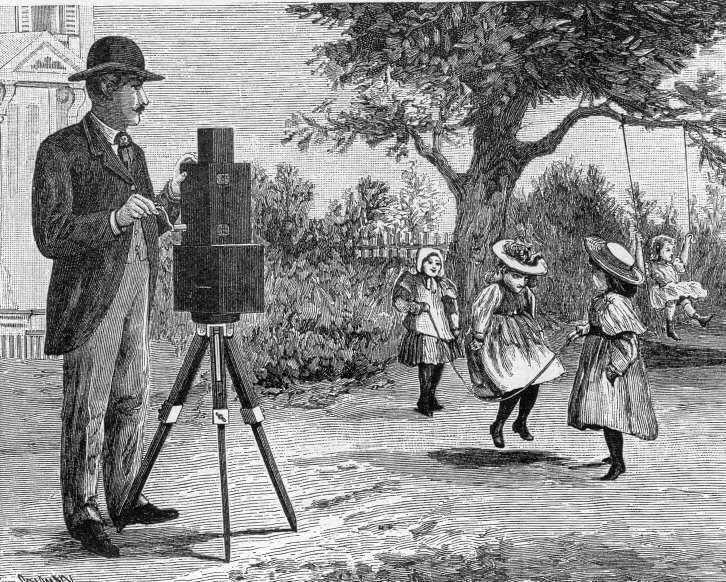 And eventually, technology to prevent camcorders from capturing a usable image could evolve. In the same issue of Forbes, DiCarlo also has another piece about theater owners who are looking to alternative entertainment content to bolster their business. She scores some good points here, noting that digital projections of Phish, Prince, and Kiss concerts have done well. Sporting events are a different animal. Major sports like football and baseball are nearly impossible to show because broadcast rights are cost-prohibitive. So National CineMedia has focused on niche "sports" like drum corps competitions and specific legs of the Tour de France. "We have to focus on events where there isn't a lot of distribution in other mechanisms," says [Kurt] Hall, [president of National CineMedia]. "We're competing on the experience, not the content." The real question, says Hall, is how to get people into the theaters for non-movie events. The marketing cost to promote events and reach fans is borne primarily by CineMedia and content providers. Theater owners, who possibly stand to gain the most, invest the least, with lobby advertisements and preshow ads to attract fans. But then, DiCarlo wanders into a hazy area, describing the studios as footing a "big chunk of the bill for digital cinema," which would give them total control over what plays on their projectors. "It's a valid question whether they should or would authorize the use of their equipment to generate revenue for other companies, especially theater owners," she writes. But if the equipment is financed by a third party (as I believe it will be) which charges these $2000 virtual print fees each time a new film runs on it, then why wouldn't alternative content be able to gain access to that same digital cinema gear for the same $2000 "usage" fee? There is a question, of course, about whether the $2000 fee would favor deep-pocketed studios, and serve as a barrier to some niche alternative content (like drum corps competitions) that wouldn't attract big audiences. The NY Times reports on a dust-up between Disney and the National Association of Theater Owners. Earlier this month, Disney chair Bob Iger had suggested to Wall Street analysts that it might be a good idea to release movies simultaneously as DVDs and in theaters. NATO president John Fithian isn't wild about that notion. "Simultaneous release would seriously damage the theater industry," Mr. Fithian said in an interview, referring to the prospect as a "death threat to our industry." "It would substantially weaken the marketing potential of the theatrical release for the ancillary markets," he added, "and it would devalue Hollywood movies." Mr. Fithian said Mr. Iger was drawing the wrong conclusion from a 10-percent drop in box-office revenue this summer, namely that some consumers prefer to watch movies at home. Instead, Mr. Fithian said, the slump was a result of the poor quality of this summer's movies, observing that declines of this magnitude did not happen because consumers suddenly decided they preferred DVD's. "The reason for short-term peaks and valleys is the product," he said. "There aren't long-term structural things to industry that change in a one-year time span." Wasn't TV also once regarded as a death threat? And cable? And home video? Here's my prediction, which I don't think is too daring: over the next ten years, a brutal and severe movie theater shake-out will take place - the result of our increasing preference for enjoying movies at home. We'll go from 36,000 screensin the U.S. to less than 10,000. But those that survive are going to be *fab*: giant screens, cushy seats, great sight lines, tasty food (not to mention booze), intelligent programming, and frequent visits from directors. (And along with it all, premium pricing.) The blah theaters will vanish. Not your image of moviegoing? Pretty soon it might be. At a time when movie attendance is flagging, when home entertainment is offering increasing competition and when the largest theater chains - Regal Entertainment, AMC Entertainment (which has recently announced a merger with Loews Cineplex) and Cinemark - are focused on shifting from film to digital projection, a handful of smaller companies with names like Muvico Theaters, Rave Motion Pictures and National Amusements are busy rethinking what it means to go to the movie theater. The piece also suggests that much of this innovation may come from smaller theater-owners, not chains. Round-up: Machinima / "Valiant" / "Surly Squirrel"
- My friends over at Cinema Minima note that the third annual Machinima Film Festival will be held on November 12, 2005. Machinima is an approach to making animated movies that relies on video game rendering software. - News.com has a piece on the technology behind "Valiant", an animated film from Vanguard Animation that Disney is releasing this Friday. Spending less than half of what its most prominent recent competitors spent on comparable projects, [John] Williams' Vanguard Animation has successfully undermined the notion that you have to spend in the range of $100 million to produce a modern computer-animated film. Valiant's budget was a mere $40 million. Borland points out that while the hardware and software necessary to crank out computer animation is getting cheaper, the audience's taste is getting more refined. Short-cuts won't cut it. He quotes George Johnson of Threshold Digital Research Labs as saying, "The audience is too smart for this to get any easier." - Talking about computer animation gives me an excuse to mention one of the best short films I saw at Siggraph this month: "Surly Squirrel," from Canada's DKP Studios. In the future, will directors enjoy a more direct connection with their audiences? Documentarian Robert Greenwalk thinks so - and he's making that future happen now. The LA Times ran a great piece last week about his latest project, "Wal-Mart: The High Cost of Low Price." (He let his fans vote for their favorite title on the Web.) The story also recaps his release last year of "Outfoxed: Rupert Murdoch's War on Journalism," when he worked with MoveOn.org to use the Net to organize house parties; hosts bought a copy of the DVD and held a discussion after the showing. That DVD sold 200,000 copies. Ralph Tribbey, editor of the online DVD Release Report, called Greenwald's documentary an example of how the home video explosion has changed moviemaking, diluting the power of the Hollywood hierarchy. The Web, Greenwald found, is a powerful tool for fundraising and information gathering. So far on Walmartmovie.com, he's raised $750,000 — of which $50,000 came from donors online. (Anyone giving $30 or more gets a free DVD.) The director also used the Internet to sign up 600 field producers, novices as well as professionals, and elicit footage, photos and tips about Wal-Mart. The title of the movie was the winner of an online popularity contest. "This is my universal studio," said the 61-year-old filmmaker, pointing to a computer in his Culver City office, once a motel at which, legend has it, MGM executives across the street held their lunchtime trysts. "Through our website we've reached hundreds of thousands of people without a multimillion-dollar marketing push." A potential theatrical run is in negotiation, according to Greenwald. After the DVD premiere, more than 2,500 houses of worship, schools, businesses and homes have volunteered to hold screenings that week, followed by a discussion of related issues, he said. From Cinematical, an excerpt from an Entertainment Weekly piece on "10 Theaters Doing It Right." "The theaters on this list offer some wonderful amenities: inventive programming, beer, restricted admission for children, reserved seats, and even on-site child care. These are not theaters that treat audiences like captive cattle. When big-chain theaters complain about shrinking audience numbers, they should examine these theaters." I'm a big fan of Roger Ebert's online Movie Answer Man column. In the August 7th edition, Ebert is asked, "What do you think of the new digital format agreed to by the studios? In the past, you have said digital projection was not as good as the current 35mm film format. Is the new format the same as the former digital format? Do you think the new format will help or hinder film piracy?" If the movie industry had true visionaries among its most powerful executives, Maxivision 48 would be given a try. It shows movies at 48 frames a second, uses only 50 percent more film than currently, and because of a patented method for moving the film through the gate, eliminates scratching and jiggles; it would cost only $12,000 per screen to install the equipment. The picture is four times as good as current film projection, and that would provide a powerful incentive for people to see movies in theaters. I've heard genuine enthusiasm from people who've seen movies like "Batman Begins" and "Charlie and the Chocolate Factory" on IMAX screens, and I know that audiences do respond to picture quality. If one industry leader announced a movie in Maxivision, there would be a stampede to the format because digital would be instantly upstaged. This of course, presumes that a studio would be able to convince a network of theaters to install Maxivision equipment. (Or pay for it themselves.) And commit to producing a steady stream of Maxivision films. Here's an earlier piece Ebert wrote about Maxivision. Last week, I went to see John Eraklis, the president of Exodus Film Group in Venice, CA, and Max Howard, a producer who is working with Exodus to make an animated, computer-generated short called "Igor." (They eventually plan to turn "Igor" into a full-length feature.) Exodus is also working with Jim Rygiel (who won visual effects Oscars for each of the three "Lord of the Rings" movies). Rygiel is slated to direct an Exodus project called "Paul Bunyan and Babe the Blue Ox," which will start shooting this fall. Comic Eddie Griffin will be the voice of Babe. We talked about how new technologies are changing the way movies are made, distributed, and shown... what's behind this summer's box office slump... what it means that innovation is happening the home faster than in the movie theater... the democratization of film-making... how a small film production company like Exodus can succeed... and whether movies will always need stars. Here's the audio file. It's a 26-minute long MP3. At breakfast this morning with Nabeel Hyatt, a sharp young entrepreneur from Boston, we wound up talking about a little research study we'd like to conduct: at what point does consumer DVD purchasing slow down? I'd love it if you'd post a comment on some of these questions: is your DVD library growing at the same pace it was when you first got your DVD player? Did it start slowing after you'd bought 10 DVDs, or 50, or 100? I wonder if there isn't some point where the average consumer feels like she owns enough DVDs, and there has to be a pretty compelling reason to buy more. I don't know that anyone has done a legitimate study of DVD purchasing habits, in terms of how they change the longer someone has owned a DVD player and the larger their collection of DVDs has grown; instead, we can look at overall sales growth, which is enlightening, but in a different way. Other analysts seem to think retailers are shipping back DVDs to the studios because they simply don't have enough shelf space. "...[W]hile there’s some evidence that the performance of the biggest hits appears to be slumping (though only slightly), smaller movies are picking up the slack: over-all sales are still rising briskly. This year, they are on a pace to top twenty billion dollars." "In the U.S., a big-budget epic like `Troy' may have earned nearly twice as much money at the box office as `Ray' did, but, once DVD sales are included, that ratio drops to just 1.2 to 1. And, once you take into account the difference in production and marketing costs, `Ray,' a far cheaper film to make, starts to look like a truly excellent investment." If studios wind up relying more on DVD sales than box office, does that mean we'll get more 'Rays' and fewer 'Troys'? Here's hoping. Surowiecki cites New Line Cinema as a good model for the studio of the future, releasing only a few "tent pole" pics like the "Lord of the Rings" trilogy, and focusing instead of small and medium-budget movies like "The Notebook" and "Harold and Kumar go to White Castle," which perform well as DVDs. Surowiecki writes: "The rise of the DVD, then, should allow Hollywood to spend less and make more. The last couple of weeks have provided a perfect case in point. The Owen Wilson and Vince Vaughn vehicle `Wedding Crashers' did not seek out a mainstream audience (it’s rated `R') and was made relatively cheaply. It did very well at the box office and will do even better on DVD, to go by the performance of similar comedies, like `Old School' and `Dodgeball.` `The Island,' by contrast, cost about a hundred and twenty million to make, flopped at the box office, and, if it’s like most big-budget flops—`Hulk,' say—will struggle to do well on DVD." People hear about loud, expensive flops fast. Smaller movies, on the other hand, have a chance to build positive word-of-mouth more slowly, both in theaters and following their DVD release. - Edward Jay Epstein observes in Slate that television is even more profitable for studios than DVDs, since it costs money to manufacture, distribute, and market DVDs. Selling TV rights costs the studios very little, and the TV and cable networks that air the movies bear the burden of marketing. Epstein writes: "Last year, the six major studios—Disney, Fox, Warner Bros., Paramount, Universal, Sony, and their subsidiaries—had total revenues of $7.4 billion from world box-office sales, $20.9 billion from world video sales, and $17.7 billion from world television licensing. Revenues, however, are what companies record, not what they earn. And, in the case of Hollywood, the revenues from movies, DVDs, and TV yield very different earnings." "The studios only have to pay the residuals to the guilds and unions, which varies between movies and TV and average roughly 10 percent. The studios get to keep the other 90 percent. In 2004, this amounted to slightly more than $15.9 billion, making it the studios' single-richest source of profits." "The 2004 MPA Consolidated Sales Report—another confidential document—shows that the six studios' revenues from television licensing went from $6.8 billion in 1994 to $17.7 billion in 2004—a nearly $11 billion increase." Epstein is the author of The Big Picture: The New Logic of Money and Power in Hollywood. I wonder, with TV proving so profitable, whether it will lead studios into other "virtual" distribution businesses, where there's no physical product, like Internet downloads, video-on-demand, and digital cinema? Most stories written about Hollywood's digital cinema roll-out, which is happening rather slowly because studios and theater-owners can't agree on who should pay, ignore the fact that there's another digital cinema roll-out that's going gangbusters. Kevin Massy of aka.tv wrote a piece that appeared Monday about a deal involving Christie, which makes digital projectors, to put them in 2,400 Cinemark theaters around the country. The installation begins this month. About 100 million Cinemark patrons will start enjoying their digital pre-show ads starting January 1, 2006. Massy writes, "According to the Cinema Advertising Council (CAC), a trade association set up in 2003, on-screen advertising revenues in the United States grew 20 percent last year to $374m, while off-screen promotions — including revenue from in-lobby networks — rose 41 percent to $64m." That means there's a clear economic rationale for installing these projectors: the ad revenue will pay for them pretty quick. My two questions: how soon will theater owners and studios feel like the economic rationale for more-expensive DLP projectors is clear, to show feature films? And will audiences begin associating "digital cinema" with pre-show ads they don't want to see shown at decent (but not spectacular) resolution? The AP reports that TiVo and the Independent Film Channel are involved in a pilot project to offer several of the IFC's shows over a broadband connection - some even before they air on TV. Greg Sandoval writes, "A group of customers were asked to take part in the test and those who chose to participate will begin receiving the IFC shows next week, said TiVo spokesman Elliot Sloane." No one yet has found a way to overcome key technological hurdles, such as finding a speedy way to pump two-hour movies through broadband, or convince Hollywood that it can profit from Internet broadcasts. Variety writes, "HDNet Films, the hi-def feature production arm of and Mark Cuban's 2929 Entertainment, has greenlit the period piece `Diggers,' starring Paul Rudd, Ken Marino, Josh Hamilton, Ron Eldard, Maura Tierney, Lauren Ambrose and Sarah Paulson." The story is about two-generations of Hamptons clam-diggers, set in the 1970s. It'll be released simultaneously to theaters, cable, and on DVD. While theater chains other than Landmark (owned by Mark Cuban and his pal Todd Wagner) have chafed at showing films released this way, Cuban mentioned to me last month in an interview that he'd offer an incentive to other theater chains, cutting them in on one percent of the DVD revenues. "That’s a new revenue stream that they never got before," Cuban said. "That’s found money. In essence, theatrical has become as much promotion for DVD and other exploitations, and the theatres aren’t rewarded for that." This piece from today's LA Times, "Video Stores Struggle to Stack Up," is worth a quick look. "People have been saying that the video store is a dinosaur since the beginning of Blockbuster dating back to the '80s," Blockbuster's [CEO John] Antioco said in an interview. Mark Wattles, founder of Hollywood Video, said the video store industry was facing major challenges. But he believes that savvy merchants will take advantage of technological changes. "I don't think we are in the twilight of the brick-and-mortar store for any industry," he said. "Consumers will continue to want to handle things and buy on impulse. There are a lot of changes ahead. I think that the really good operators will capitalize on those changes." "Special effects are the new movie monsters..."
"...their visual excess gobbling up the real story." That's the headline in today's San Francisco Chronicle. Pop culture critic Peter Hartlaub wasn't impressed by movies like "The Matrix Revolutions" and "Sky Captain and the World of Tomorrow." At some point between 1958's "The Seventh Voyage of Sinbad" and this year's "Fantastic Four," "special effects have become more of an arms race and less about supporting a story," Hartlaub writes. "And even as technology improves, most blockbuster special-effects movies are leaving audiences with more of a feeling of numbness than wonder." "Fantastic Four" is an example of a story built to serve the special effects, instead of the other way around. It's a misguided pretense that too many studio check-writers adopt -- to get your money's worth, audiences need to notice the effects, not forget about them. A strong argument can be made that the best special-effects movie of the past 10 years was "Master and Commander: The Far Side of the World" -- where every computer-assisted cannonball, amputation and gale force wind looked like it actually happened in the 1800s on the open sea. Every effect in that movie enhanced the vision of author Patrick O'Brian and the film's director Peter Weir. After spending last week at the SIGGRAPH graphics and special effects conference in LA, it was hard not to share Hartlaub's concern about effects overwhelming story-telling. But then I had a somewhat heartening conversation with Jim Rygiel, who won three Oscars for his work on the "Lord of the Rings" trilogy. I asked Rygiel whether we've finally arrived at the moment where no visual image is impossible to create. "I do believe that you can do anything now - at great expense - but the possibilities are all there," he said. We talked a bit about artificially-intelligent digital characters, which I'd just spoken with Stephen Regelous of Massive about. These characters wouldn't need to be animated frame-by-frame - they'd be smart enough to take direction from a human, like "you enter the room, feeling anxious, and walk to the table." Rygiel emphasized the importance of story, character, and performance over everything else. Rygiel said, "I have no doubt that we could make digital characters seem absolutely real. I'm questioning the soul of the character. I think `artificial' intelligence is a good word. We're talking about dumb automatons." Actors, he said, are "good at what they do." Rygiel's next project is "Bunyan and Babe," which will feature live actors performing alongside a computer-generated blue ox. "When I started out, with `The Last Starfighter,' it was really tough to do the one spaceship flying around. Today, anyone could do it at home." "You can get a $2000 high-def camera, and make a film today by yourself, with CG software on your laptop, and distribute it globally. I see a lot more of that happening - more independent stuff that will give audiences more choice." A baby grand piano greets patrons in the lobby. Ushers lead moviegoers to reserved seats and bring them food. Others sip wine and ''Titanic" cocktails, watch baseball on plasma televisions, and spread out on leather chairs with newspapers. There's also reserved seating, for an extra $2 on weekdays and $2.50 on weekends. National Amusements prez Shari Redstone says that all of the chain's new theaters nationwide will be based on the ''Cinema de Lux' concept. National Amusements is the sixth-largest exhibitor in the U.S.
Over the next year, Showcase Cinemas will add live musical performances and comedy shows to some theaters in Massachusetts. The chain is using high-definition technology to show Red Sox games at some of its theaters, which they turn into faux Fenways with vendors roaming the aisles hawking hot dogs. Another brilliant idea: more and better food options. If theater owners make the bulk of their money from concessions, why not offer something beyond hot dogs and nachos? Expansive offerings range from Starbucks coffee to Sbarro pizza, and moviegoers can eat as they relax in a lounge with free magazines and newspapers or use guest services to book dinner reservations at local restaurants. It's heartening to think that if the number of movie theaters in the U.S. is going to head south (as I think it will), the quality of the experience may be on the way up. - "People in the [movie] industry don't acknowledge the enormous degree to which everyday people find it difficult and expensive to go to the movies." "The vast majority of studio executives don't go to the movies. I know because when we have a movie they're interested in, they call our office to borrow prints from us, to watch in their studio screening rooms or their home screening rooms. They're like stars who won't fly commercial." Of course, Urman acknowledges that he also views many movies in private screening rooms, or at home on his plasma screen TV - but he doesn't parrot the standard Hollywood truisms about how the average person will always want to go to the theater because it is such a wonderful experience. - Urman isn't particular about the format consumers choose to view one of his movies: DVDs, video-on-demand, Internet download. "As long as people can share it, analyze it, and as long as I can derive revenue, I don't care about the manner in which people consume it." - He sees NetFlix as a wonderful way to broaden the audience of "people who like something a little different," by introducing them to other films by a director whose work they've just enjoyed, or featuring an actor they like. "It's smart. It's all about connecting the dots." - He's not bullish on the democratization of cinema - 100,000 people with cheap digital cameras churning out films. "Even the most marginal, obscure, personal, home-made film is nice. But most people won't benefit from that, either as creators or consumers." - Despite rapidly crashing waves of new technology, Urman believes that "people who produce and supply and distribute movies - they'll always make money." - He's hopeful, as is everyone else I spoke with this week in LA, that the communal moviegoing experience will somehow survive, and perhaps even improve as it is forced to compete with myriad home-viewing options. "People are looking for experiences that connect them to other people, rather than alienate them." "There's sustenance drawn from sharing a cultural commodity with others." This event, coming up in September, looks good despite the wordy title: Trends '05: A World-Class Confluence of Senior and Management Executives Seeking Synergies and Solutions Across Digital Trend Lines From Content to Delivery. Speakers include execs from ABC, MSN, Sony Pictures, and CinemaNow... plus the always unpredictable Mark Cuban of HDNet. Plus, it's in Vegas. A dispatch from the Directors Guild's "Digital Day"
Wired News correspondent Xeni Jardin was at "Digital Day," an annual event put on by the Directors Guild of America to showcase new technologies. Her piece is headlined Auteurs Glimpse Digital Future. Make sure you check out the accompanying photo gallery - especially Panavision's robotic crane. In addition to hands-on demos of new gear, attending auteurs also participated in workshops on such topics as directing on virtual sets, digital cinema projection and delivery systems, and how to make the creative transition from shooting movies on film to shooting them digitally. "Shooting on 35-mm film costs about a dollar a foot," Bob Harvey, Panavision senior vice president of sales, told Wired News. "A thousand feet for a thousand dollars adds up to about 11 minutes of footage. But about an hour of footage on a Genesis 24P HD, for instance, costs under a hundred dollars." But going digital means more than new budget options, according to director Chuck Workman, who is currently working on a feature about painter Pierre-Auguste Renoir and his son, director Jean Renoir. Workman sees common threads involving technological change within both crafts. "When oil paint in tubes became available, the Impressionists could all of a sudden go outside to paint in the field, and that changed everything," Workman told Wired News. "In the 1960s, lightweight cameras came along and changed documentary filmmaking, and now digital is changing everything again. Anyone can go out and make a movie, anywhere. Their movie might be horrid, but who cares? Some will be great. Anything that moves us away from formulaic moviemaking -- I'm all for it." At some point soon, will every day be digital day for directors? Two people I met with today both brought up this piece from today's LA Times, "Digital Projection: Cost vs. Clarity." Michael Hiltzik scores a couple good points. As I've pointed out here several times, and Hiltzik observes in his piece, the big question about the digital cinema transition right now is who will pay; the cost of upgrading could total about $100,000 per screen. Hiltzik reports a new development: "Insiders say the studios are close to offering to pay for installations for at least 10,000 screens [out of approximately 36,000 in the US]. But they still want the exhibitors to pay for upgrades and maintenance, which the theater owners regard as a poisoned chalice. Conventional projectors haven't fundamentally changed in nearly a century; theaters needing replacements for worn or broken parts can still scavenge them from decades-old models. Digital projection technology is much flakier, however, and is sure to involve major technical upgrades every few years." Finally, Hiltzik raises the possibility that theater owners will wait until the next generation of projector technology, known as 4K, arrives: "...[W]ill theater owners buy into 2K if they think it's merely a transitional technology to something really super?" If they wait a couple more years to make the shift, will there still be a customer base conditioned to show up at the movie theater? It continues: "Many people make movies, but George Lucas has changed them forever." The moderator is Bruce Carse; the two of them sit down in overstuffed leather chairs... and suddenly the audience's digital cameras start firing. Referring to his recently-opened Letterman Digital Arts Center in the Presidio, Lucas says: "This is the first group I can come to, and nobody is going to ask me what digital arts are." "Anybody who works in the arts eventually faces running into that technological ceiling, whether you're doing cave paintings on a wall and you want to add color - or you're painting the Sistine Chapel... You're constantly pushing that technological envelope. Art is technology. ..You need to know how to use technology..."
He quotes Akira Kurosawa, who was one of his major influences: "The secret of this whole thing is immaculate reality." "I am not a computer person," he says. Lucas isn't so interested in how effects are created - but rather in using them to tell stories. "All I do is think it up, and say, `I want to do that.' And they say, `That's impossible.' And then I say, `Well, figure out how to do it.'" "I'm not afraid of risks as long as I think I can win. The problem with the leading edge of technology is, the one thing you can be sure of is you're never going to win." The first guys out of the box - the ones who demonstrate their breakthroughs at SIGGRAPH - aren't always the ones with solutions that are ready for the real world. He says his companies are moving away from an "assembly line process" - and toward trying to get everyone to work simultaneously on the same thing, with better tools for real-time collaboration and communication. He adds that they're working now on tools for "pre-viz" - software that can animate and enliven the storyboard process, making them look a lot more like the finished film. He says there weren't any major tech breakthroughs required to make "Episode III" - just "taking the technology we develped on `Phantom Menace' and `Attack of the Clones' and using it to tell the story, and having the story be bigger." More digital environments and characters. "This one was a known mountain - [even if] it was higher than the others." "Now, between the digital editing and post-production and pre-viz and digital shooting... it's a completely different way of dealing with cinema. And I do believe that this is the future...this is the way movies will get made. People will look back at film, and say, `That is so 19th century.'" Carse asks about pre-visualization. Lucas talks about cutting together snippets of old documentary films of World War II to storyboard the first 'Star Wars.' WIth 'Empire Strikes Back,' he used traditional cell animation. With 'Return of the Jedi,' he used models on coat hangers (like characters on speeders), moved them around, and captured the action using video cameras. Now, he's got people like the talented Dan Gregoire creating digital animations of sequences, then handing them off to ILM. Lucas says, "We're trying to develop a pre-viz system that is idiot-proof - dumbed down to the point where I can use it. I think that a really simple pre-viz system is going to really change a lot about the way people direct movies." Lucas says he doesn't feel as if he's facing a blank canvas: "I have hundreds of projects that I want to do, and I'm running out of time - so they'll never get done, I'm afraid." One thing that's coming up is "Clone Wars," a 3-D animated TV series. Lucas is setting up a studio in Singapore. He says he's really interested in anime, and this is an opportunity to dip a toe into those waters, and take advantage of the "amazing talent" in Asia. Lucasfilm will be working much more in television. "My life is too short to become a film studio," Lucas says. "TV is an easier medium to work in. It's more fun. There's not as much pressure. [It's] a good medium to experiment in, without as much downside [as film]." In terms of his own feature films, Lucas says he plans to do "more esoteric work." Carse asks: "A return to your roots?" Lucas: "A return to more pure film-making, that focuses more on the visual side of things." He talks a bit about Peter Jackson's visual effects shop, Weta Digital, which he visited recently. "Weta is like ILM was 20 years ago." He invited Jackson to come see ILM now, and see if that's really the direction he wants Weta to go. Referring to ILM, he says: "A big corporation has its downside. Companies are kind of like sharks. If they don't swim, they die. You either have to grow and get bigger and bigger, or you begin to collapse. I think ILM, we've all agreed, has reached a level that we want to stick with. We don't want to get any bigger. We're the oldest, we're the largest, we're the most advanced. And that's a fun position to be in." He says if a studio or someone else wanted to build a bigger shop, ILM wouldn't necessarily try to compete. Lucas says he's surprised that the digital cinema wave has taken so long to reach the shore. "`The Phantom Menace' was the first film to be projected digitally, and `Attack of the Clones' was the first film to be shot entirely digitaly." Lucas says that he thought those two films would serve as case studies, and spark more digital cinema activity throughout the industry. "We're still sitting here waiting for the revolution to happen." He refers to a conference he holds sporadically at Skywalker Ranch, a gathering of directors who work digitally. "There are about five of us who've worked with digital - now there's six, including 'Superman' - a very small group of people, out of thosuands who work in the film business." He acknowledges later that d cinema "doesn't always work as well as we'd like," and there's still plenty of room for improvement - but he characterizes those improvements as "bells and whistles" and "cupholders." "I know that it's going to happen - but how long is it going to drag on before we get to the digital world?" The widespread arrival of d cinema will "democratize the entire system" of making and distributing movies, Lucas predicts. "People who are making films on the internet are doing a great job, with very little money." (And not just on the 'Star Wars' fan sites, he says.) "That's going to expand, as the technology is accepted by the world at large."